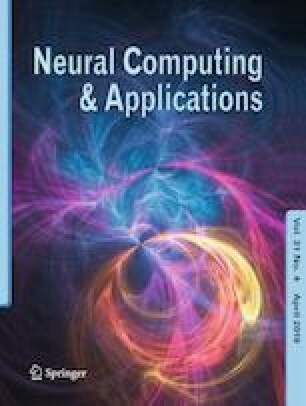 This work presents the uncertainty analysis of an artificial neural network (ANN)-based method, called multiharmonic ANN fitting method (MANNFM), which is able to obtain, at a metrological level, the spectrum of asynchronously sampled periodical signals. For sinusoidal and harmonic content signals, jitter and quantization noise contributions to uncertainty are considered in order to obtain amplitude and phase uncertainties using Monte Carlo method. The analysis performed identifies also both contributions to uncertainty for different parameters laboratory configurations. The analysis is performed simultaneously with our method and two others: discrete Fourier transform (DFT), for synchronously sampled signals, and multiharmonic sine-fitting method (MSFM), for asynchronously sampled signals, in order to compare them in terms of uncertainty. Regarding asynchronous methods, results show that MANNFM provides the same uncertainties than MSFM, with the advantage of a simpler implementation. Regarding asynchronous and synchronous methods comparison, results for sinusoidal signals show that MANNFM has the same uncertainty as DFT for amplitude and higher uncertainty for phase values; for signals with harmonic content, amplitude conclusions maintain but, regarding phase, both MANNFM and DFT uncertainties become closer as the frequency increases, which implies, in fact, that when synchronous sampling is not possible, spectrum analysis can be performed with asynchronous methods without incurring in uncertainty increases. This work was partially supported by the Universidad de Malaga - Campus de Excelencia Andalucia-Tech. Tables 10 and 11 show standard deviation results obtained for amplitude and phase of half-wave rectified harmonics for the case of a jitter value of 100 ns and 16 bits of quantization, 15,457 samples and different R values. In order to unify data as much as possible, both tables simultaneously present values obtained considering only jitter (j) and only quantization (q). Tables 12 and 13 show standard deviation results obtained for amplitude and phase of half-wave rectified harmonics for the case of a jitter value of 100 ns and 16 bits of quantization, R fixed to 24 and different N values. In order to unify data as much as possible, both tables simultaneously present values obtained considering only jitter (j) and only quantization (q). Tables 14 and 15 show standard deviation results obtained for amplitude and phase of half-wave rectified harmonics for the case of a jitter value of 100 ns, R fixed to 24, different N values and different number of bits. Due to the amount of data to be included, values obtained considering only jitter (j) are presented. Tables 16 and 17 show standard deviation results obtained for amplitude and phase of half-wave rectified harmonics for the case of a jitter value of 100 ns, R fixed to 24, different N values and different number of bits. Due to the amount of data to be included, both tables present only values obtained considering only jitter (q).